Winter Season Dance happening December 29,2018, @ The Elephant Room located at 3005 E. Abram, Arlington Texas. Come out meet and greet all dancers old and new, retired, breakers. let us celebrate the holidays as one and fun. 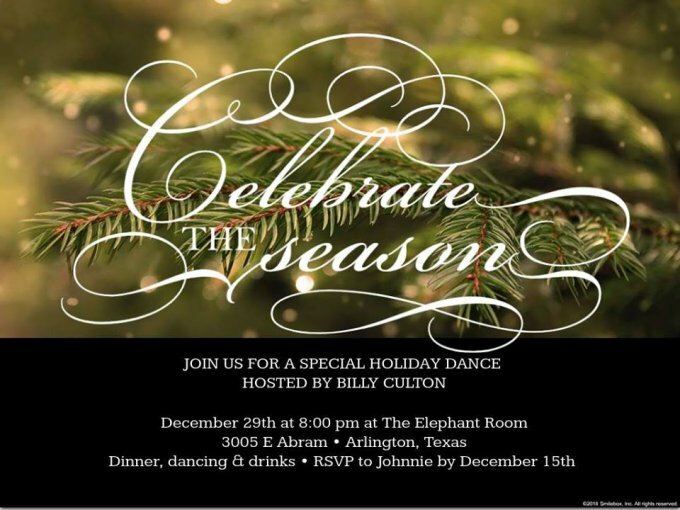 Hosting by yours truly Billy Culton, DJ Billy Culton. music to accommodate all dancers.